￼Hi there friends! It’s Janine from Happy Happy Nester. 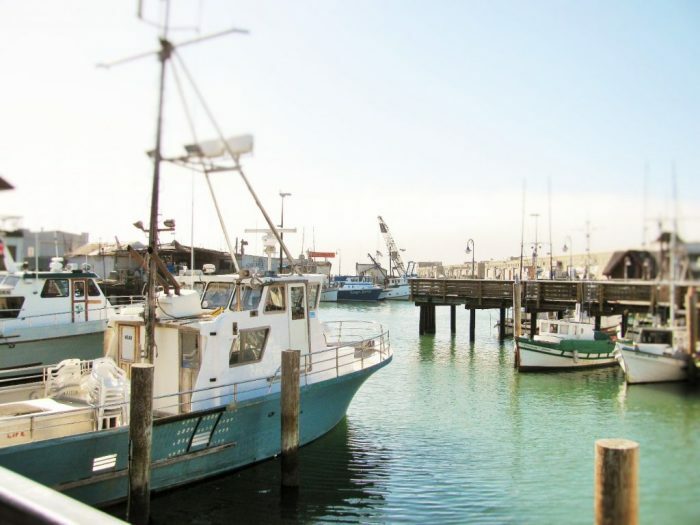 I’m so excited to be guest posting here on Lolly Jane. 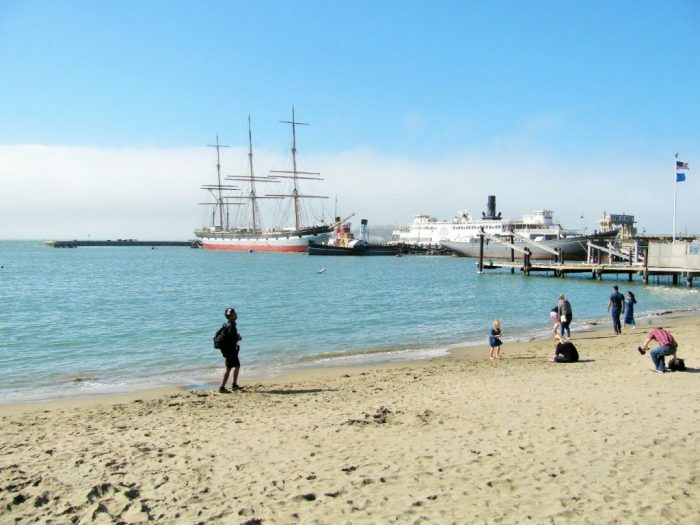 As some of you already know, we live in the San Francisco Bay Area and the ocean is part of our family life. 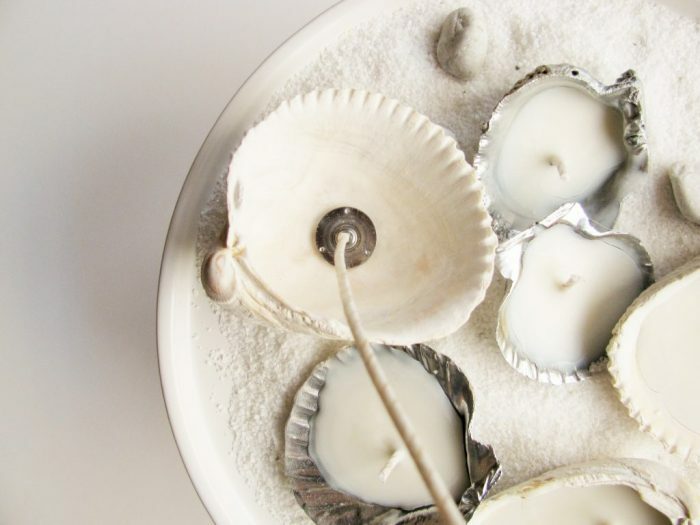 So it seems only fitting that I wanted to collect some shells and make them into candle holders. I like how a wintery candle is suddenly transformed into a summery decoration. 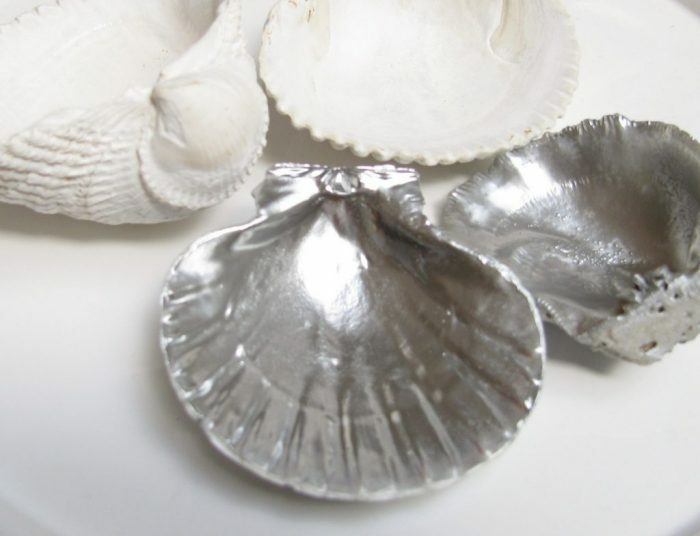 I also wanted to put a twist on the shell by spray painting some of them with a silver spray paint. So, let’s get started in making this fun and pretty project. 1. Clean and dry shells. 2. Spray paint some of them with silver spray paint. 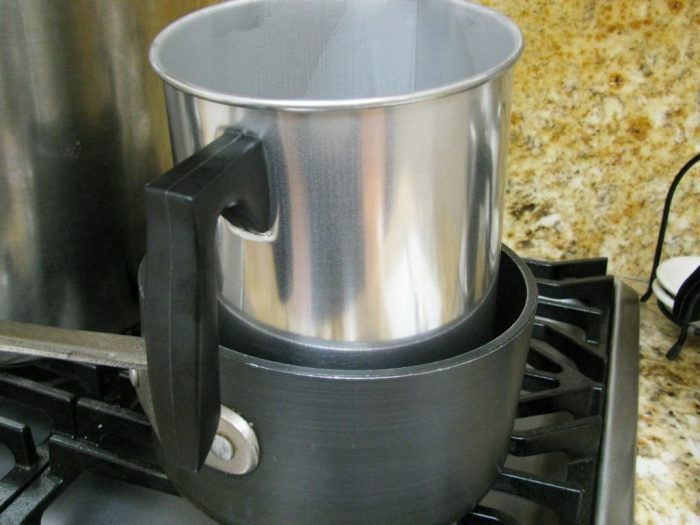 Let dry thoroughly before filling with candle wax￼. 3. 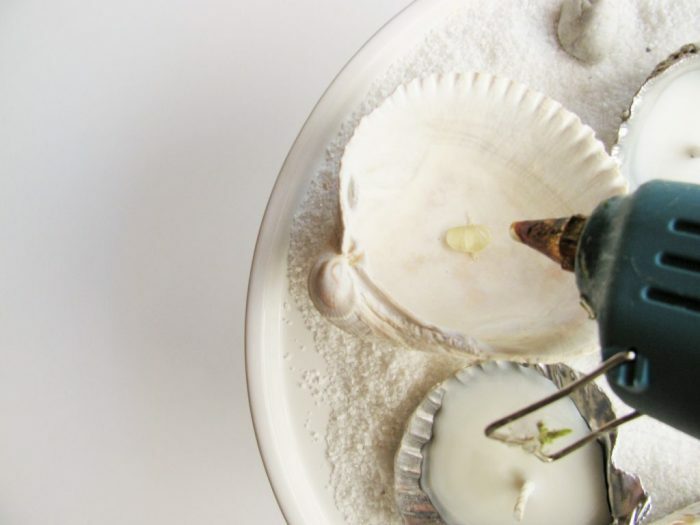 Place a dot of hot glue on the inside of the seashell where you want to attach the metal plate of the wick.Place the soy candle wax in the metal pot and put in a pot of water on the stove. 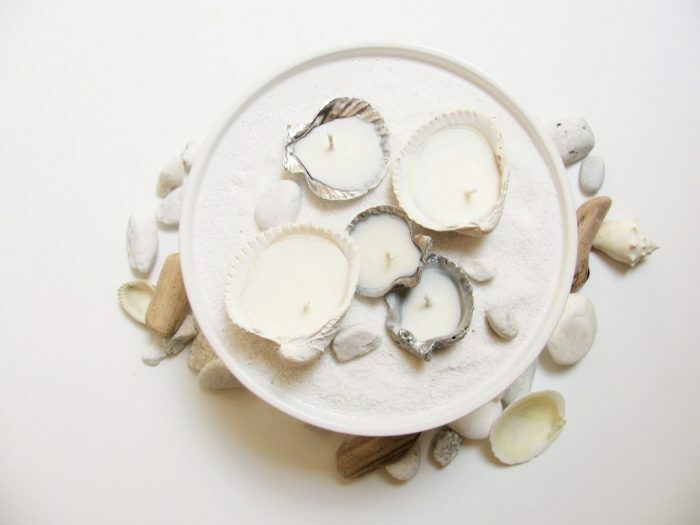 I hope you have enjoyed this post and are inspired to make some summer seashell candles. It is easy and the results are so festive for the season. 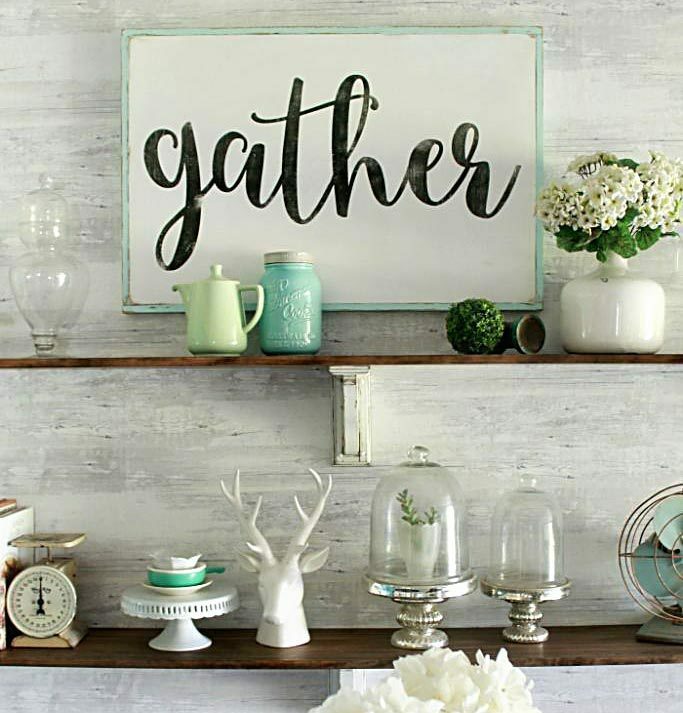 So, grab your shells you have collected over the years, and put them to good use. 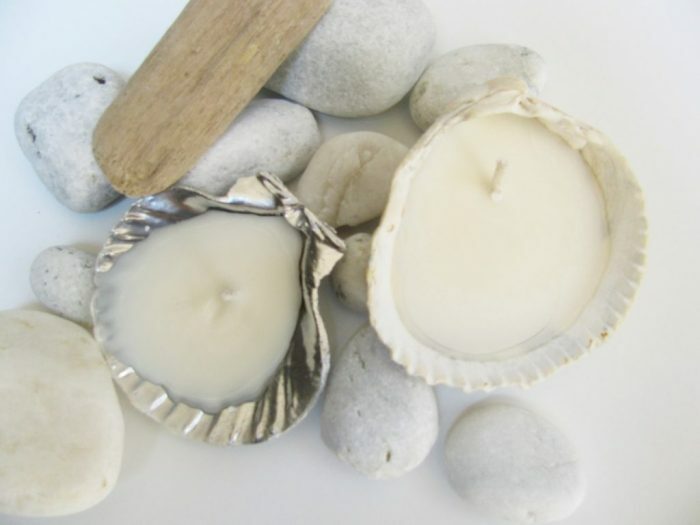 Enjoy your new summer candles while dining outdoors or while taking a nice evening bath. These candles turned out so pretty. We couldn’t be happier and can’t wait to make more. We would love to see what others come up with. Happy candle making!